Inspiration for this trend often comes from patterns created in the Peruvian and Bolivian Andes where indigenous tribes use traditional techniques to weave fabrics with local wool. Think multi-coloured patterned textures with an ethnic feel. Geometric patterns woven in lines are central to this look, often mixed with symbols which that reflect the daily life in the mountains plus significant historical events and characters in Andean folklore. Some independent retailers actually source their product ranges and fabrics direct from suppliers in South America. 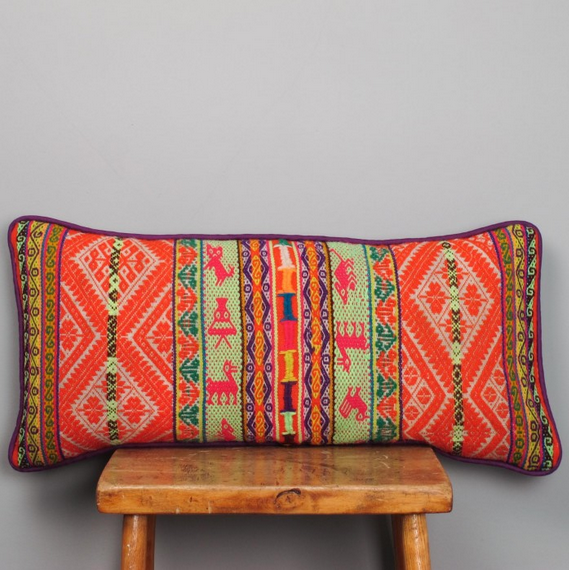 Online retailer A Rum Fellow sells a range of cushions and rugs made with fabric sourced from the Peruvian Andes. Rich with heritage the designs demonstrate the amazing skill and craftsmanship that goes into each item, including many made using hand woven Peruvian fabric. Highly skilled craftsmen in Peru would have made the fabric on a traditional wooden loom using local Alpaca wool. The pieces available are full of colour, pattern and texture. 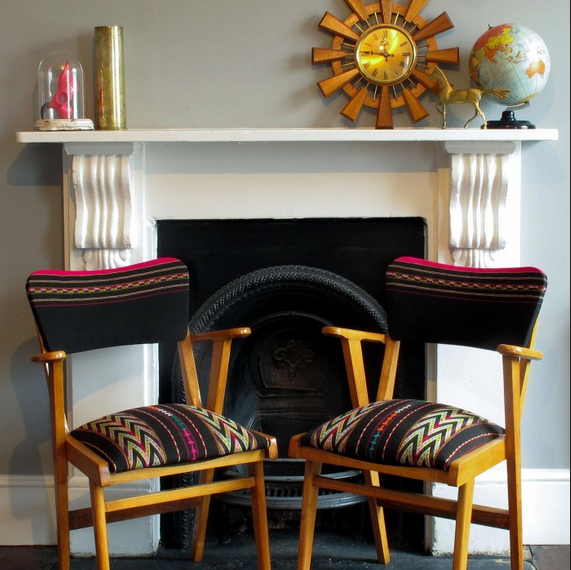 I love the mid century chairs that have been reupholstered using hand woven vintage Bolivian fabric – a real juxtaposition of cultures but it definitely works. Fate, another online store, sells a selection of Native American inspired homewares from North America, including Pendleton blankets and other textiles such as ipad cases and purses. 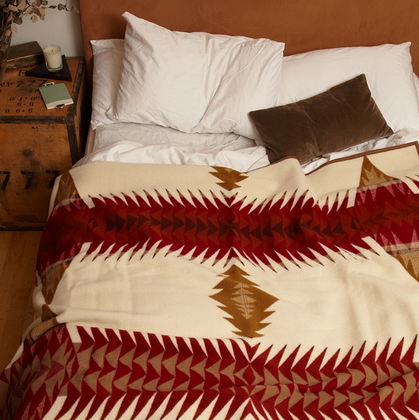 The Pendleton Woollen Mills are based in Portland and sell a range of blankets that pay homage to the American mills that pioneered the weaving of American Indian trade blankets. Pendleton Mills began making Native-American blankets in 1896 including geometric patterned robes (unfringed blankets) for men and shawls (fringed blankets) for women. Their Heritage collection includes blankets that feature patterns reintroduced from their extensive archives. The rich colours and patterns often represent Mother Earth, the sun, the stars and new life.